Florida’s drowning death rate among children aged one to four is the highest in the nation, according to the Florida Department of Health. 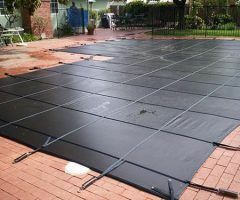 So when it comes to pool safety, the organization reports there are three layers of protection: supervision, barriers and emergency preparedness. After moving to their new home, Preston Forshee and his wife decided to install a pool fence to keep their 3-year-old daughter safe. “It’s just been nice to be able to sit out here and let Mary Clark run without having to worry about having to be ready to jump in and save her if something happened,” said Preston. In 2000, to prevent pool-related deaths, Florida passed the ‘Residential Swimming Pool Safety Act‘. The legislation requires all pools to have some sort of barrier, whether it be a physical one or an alarm system. Joel Cohen, who installs pool security systems for a living, said there are several options to choose from when it comes to pool safety: pool covers, nets, alarms, even door and window chimes. Joel said the safest option of all is a pool fence, like the one the Forshee family opted for. Ranging in price from about $15 to $20 a foot, installing a pool fence can be costly. However, Joel said when you consider the alternative, the fence pays for itself. 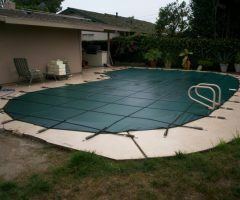 Most pool safety systems can be installed within a few hours and they don’t just prevent deaths. According to the Centers for Disease Control, for every child who dies from drowning, another five receive emergency department care for submersion injuries.